Weekly Wrap-Up: My nonstop party weekend! ~ Diane's Vintage Zest! Weekly Wrap-Up: My nonstop party weekend! For whatever reason, I forgot to share the time I spent with my friend while we ate and chatted for hours. We met on a street where there are lots of restaurants a few cute little shops. 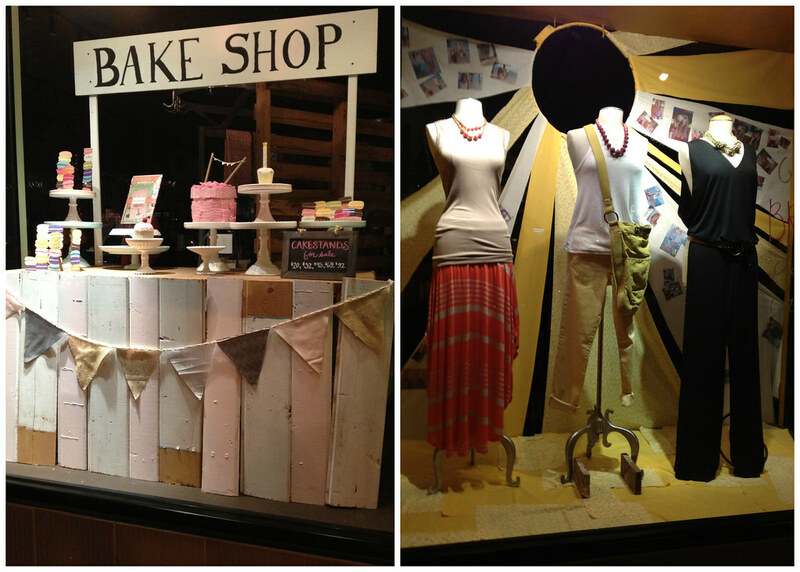 Just check out the window display of this store, one of my faves! Think of it as a tiny Anthropologie with a home section and cute clothes too. 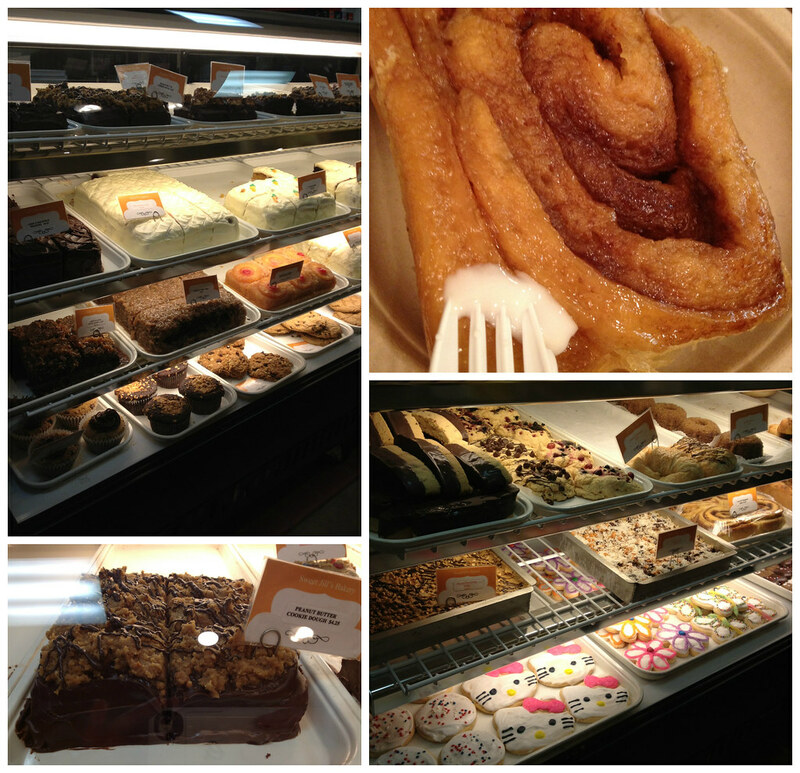 Anyways, we met after work and naturally had dessert first at Sweet Jill's! We split a cinnamon roll with icing on the side. Mmm mmm mmm! Coming back to this week now... I had so much to do, so here goes! I had a work meeting that started late, which ended up turning into dinner with the boss and his family. At first, I wanted to keep the plans I had to bowl in downtown L.A. with my friend, but it's hard for me to turn down a direct invitation like that! However, by the end of the night I was having so much fun because his elderly, 98-year-old mother-in-law was hilarious! It was like watching an episode of Everybody Loves Raymond with all of the funny/crazy things she said. A total riot! I ended up getting in pretty late, and then had a conversation with my cousin that lasted until 2 am. That probably wasn't the smartest idea, because I had to get up bright and early the next day! Luckily, I woke up without an alarm, ready to take on the day. I had an appointment and went grocery shopping before heading back home. 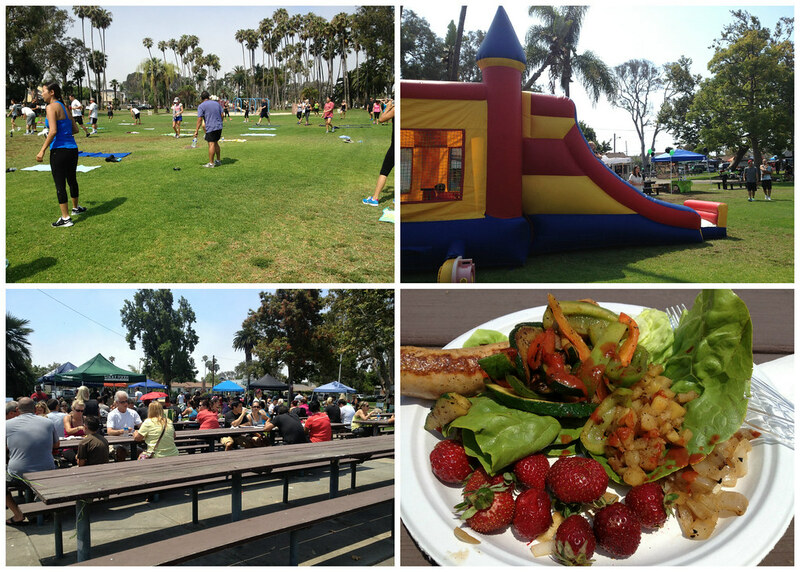 From there, I carpooled with a friend to a nearby park, where my gym was having an event! We had a workout in the sweltering heat and under the sun, but we made it through! There was a bounce house for the kids and booths from local businesses where we got free samples of products and all kinds of goodies. 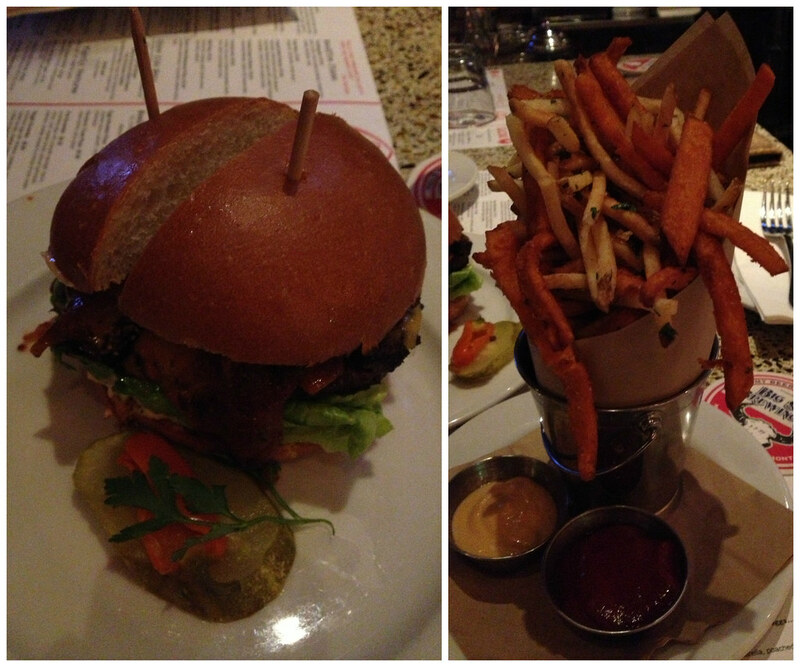 :) We finished just in time to eat some yummy grub, all organic and Paleo-friendly. 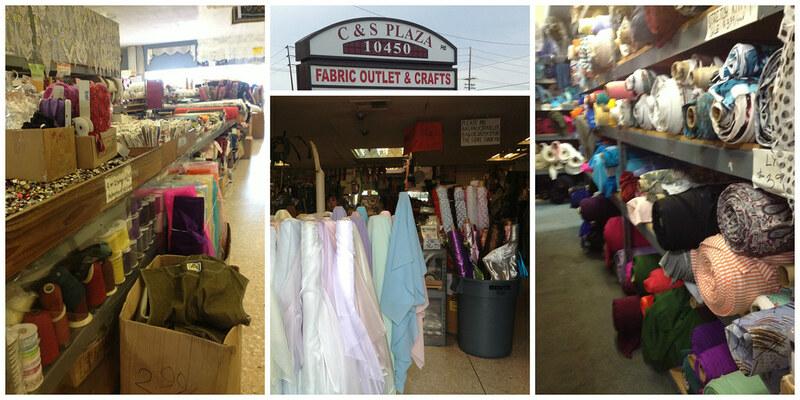 Next, my friend and I went to the swap meet so I could get some cones of thread for my new serger. I bought around 27 cones of good quality thread in practically every color (but mostly neutral) and a bunch of invisible zippers for $25. It's a good thing I spotted the zippers because I was starting to run out of them! 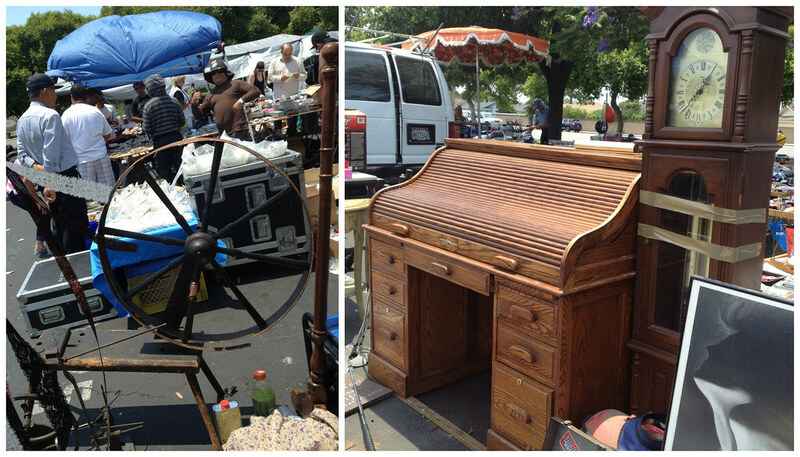 By the way, check out these awesome items at the swap meet. A real spinning wheel, a pretty roll-top desk, and a grandfather clock. I actually ended up buying a stack of vintage advertisements for $1! They're so cute, I'll have to photograph them and share one day. Later on, my guy and I went to the birthday party and stayed up to a completely unreasonable hour. We talked, played board games, and everything in between. It was 3 am before I went to sleep! I had to get up early to start my shredded beef going in the slow cooker, so once again I had very little sleep. 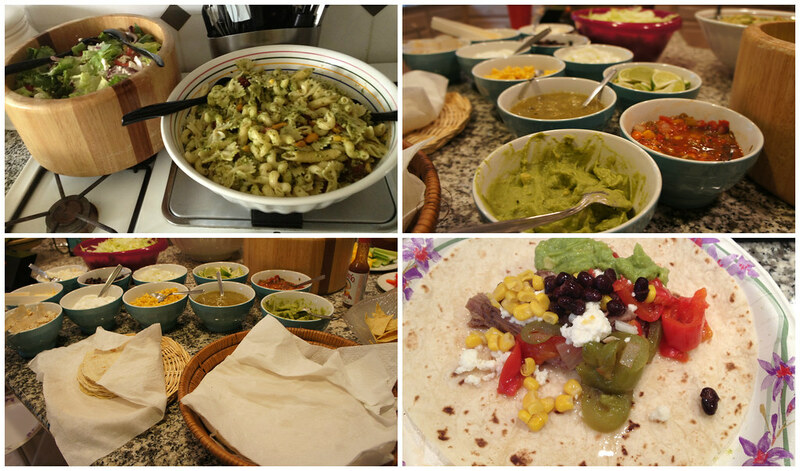 All in all, I ended up making a huge salad, a pesto pasta salad, and a taco bar with all the fixings, including shredded beef and fish. 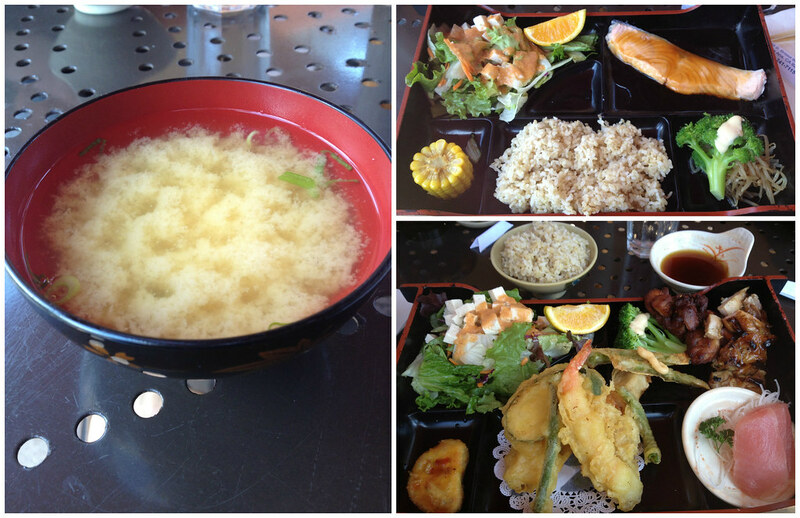 I decided to skip the coconut ice cream, because it wasn't super hot, and we were stuffed anyways! By the end of the night, I was so tired that I fell asleep while everyone was watching a comedy special on TV. I'm pretty sure that I slept for only a minute or two, but I really have no idea. I was pooped! The only fun thing I did on Monday was to meet up with a friend to look for some swimsuit fabric for a new suit. I'm not sure if this will work out completely, since I've never made one, and especially because I'm fashioning my pattern from a dress that I like. We'll have to see! I remembered this tiny, crowded fabric store that had swimsuit fabric, and I was right! The hard part was deciding on a color, but I settled on an eggplant purple. Anyways, I bought enough yardage to make a one-piece and a bikini, as well as 10 yards of 1/4-inch elastic for my stash all for $10. Well, this weekend is going to be tiring what with Thursday and Friday off and a party with the whole family for July 4th. I'm already looking forward to recapping next week! Hi! This is Rheanna from Can She Sew It - thank you so much for your invitation to join your Facebook sewing group! I submitted a request this evening so hopefully it comes through. :) I'd love to join in the challenge just to see if I can do it! And thank you for following! Looks like you had a blast all those days!